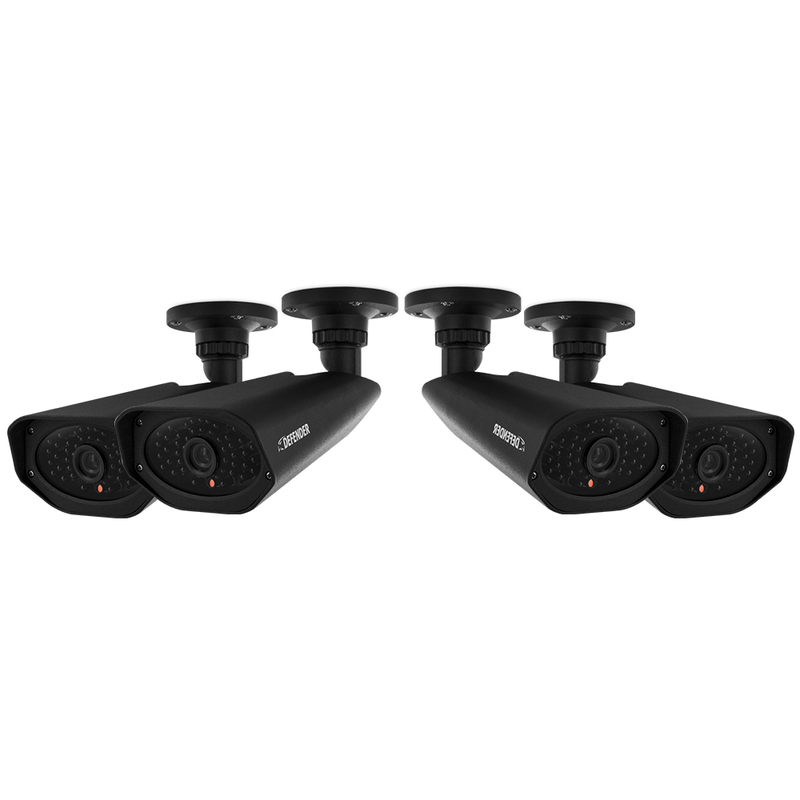 Experience high-resolution, low-light performance in zero illumination from up to 110ft from the cameras position. The PRO camera automatically activates infrared illumination with 38IR LEDs allowing for clear identification of objects in complete darkness. IR illumination range up to 110ft under ideal conditions. Objects at or beyond this range may be partially or completely obscured, depending on the camera application Defender highly recommends the use of an Uninterruptible Power Supply (UPS) with surge protection for all products. Although the cameras are weather resistant, they are not weatherproof. Not for use in direct exposure to water, rain or snow Requires broadband router and broadband internet connection—not included. Internet browser is required. Bought the system about 3 weeks ago...Great system, with the exception of the Camera Extension Cable. After running the cables all through the attic, I had 2 cameras that I had to extend for better coverage beyond the 65' cable provided. I have never had a wire that I had to replace the original wire and move it...an extension wire should be that ...extend from the end of the wire to the equipment.. Very cooperative. And would buy again. I can't believe the value for the money. The quality of the video is very good. The fact that I can see every camera view on my phone is astonishing. This is the best bang for the buck that I have invested in my business this year! Good system for in door environments as well as outside. The cameras are small but seem to work well. I do wish there was a way to focus them or zoom, but I can't seem to locate it. Cheap, but effective. After the initial long, drawn out cable install, I managed to hook up the cameras fairly easily. Once I got ready and turned the system on it seemed quite easy to use (getting used to using only a mouse is annoying). I quickly got the basics set up then went on to the remote computer in my office. I was able to make the simple chnages and then gained access to the cameras. I do not see it recording though. I will have to contact support for that, but I am pleased at how easy it is to use. I just hope that the Network Port Forwarding will be just as easy. This security camera system already solved 2 incidents in my neighborhood. One, when a neighbor's expensive dog went missing and another neighbor pointed out that the dog went inside our property. When the dog owner came to look in our property and found no dog, I also showed them our DVR recorded photage that the dog went straight to the highway (just to clear any doubts and suspicions that we were hiding the dog) and they were grateful that I let them view the video that indeed the dog never went inside our property. Another incident was when a neighbor came to me for help because some things were missing in her backyard. Our camera was able to capture the activity from outside our fence and the issue was quickly resolved by the authorities. I originally only needed the 8- channel system but decided to purchase the 16-channel system for future additional usage. My wife helped me installed the camera as the long wires are really tricky to deal with. So much time was devoted by just untangling the wires alone. The installation did not come easy as well because the cameras were wobbly when drilled on our vinyl sidings. The screws that came with the package were useless when used in vinyl so I ended up buying the right one for the job. Overall, I am happy with my purchase because the unit serves the purpose. It can monitor almost every in and out activities within our property and outside. It can capture every movement although fine details (plate#, facial features) became blurry at relatively "short" distances. One thing I may wish the manufacturer will upgrade though is that, they should have a back up device which is easy and small enough to be tucked secretly somewhere safe. A device that can still store recorded activities if in case the main DVR gets stolen by burglars along with your precious properties. 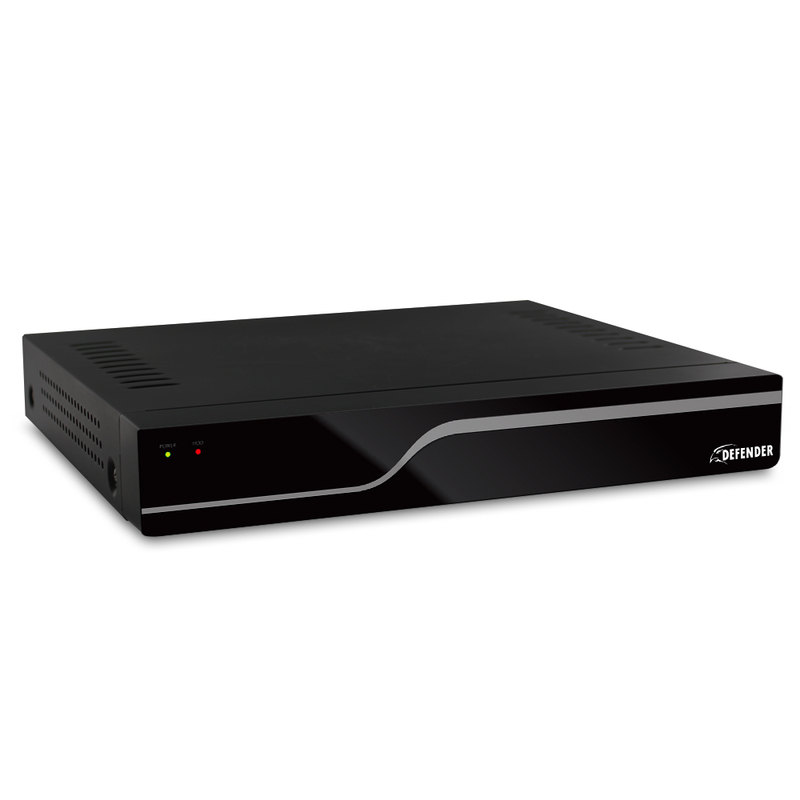 With this present unit, you will be left with nothing to show as evidence once the DVR is gone.